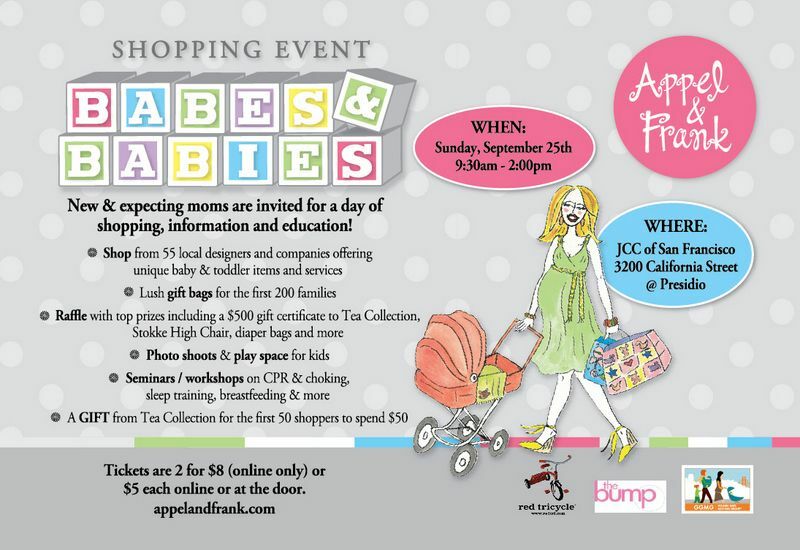 Appel & Frank's Babes & Babies event! I will have pretty much my whole Etsy shop set up at a table. I am planning on making a whole bunch of new stuff just for the event, dolls and aprons and more dolls! Modern moms and moms-to-be are invited for a day of shopping, education and information! Shop from 55 designers and companies offering baby and toddler clothing, accessories, gear, toys, resources and much more...all at discounted prices. Enjoy speakers and seminars, activities for kids, lush gift bags and a raffle with incredible prizes!